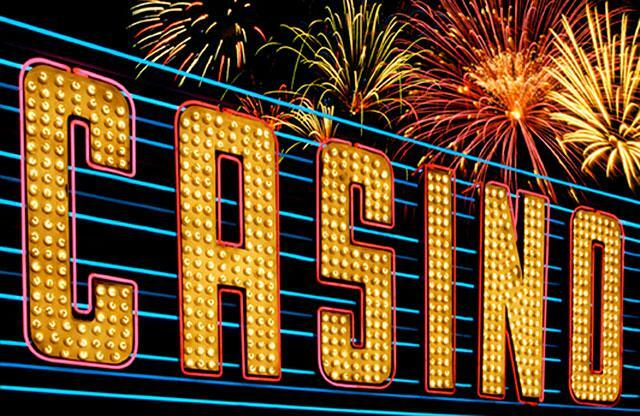 What is the Best Game to Play in a Casino? You got all dressed up, filled your pockets with paper, made the trip out to the casino and arrived in style. Now you need the answer to just one question: what is the best game to play in a casino? The “best” game in a casino is dependant on what you’re looking for, the mood you’re in and what you hope to get back. The first choice you need to make is if you’re there to try and make some money, or if you’re looking for a good time, and hoping to get lucky. If you’re looking to sit, relax, chat with friends, spend small amounts of money over long periods of time and give yourself the chance at winning large jackpots you’re going to want to head straight to the slot machines. Slot machines allow you to play at your own pace, you don’t need to learn any rules or have anyone ask you any questions. You can pay as much, or as little, attention as you like, enjoy a beverage and the company of your friends. If you find yourself sidling up to lady luck, you just might walk out with every pocket stuffed full of $100 bills. If you would rather forgo the chance at winning massive jackpots in favor of making it more likely to win a smaller amount, then you’re going to have to head to the pit. If excitement is what you’re after you’re going to want to find yourself a spot at either the craps or roulette tables. The most exciting game in the casino is Craps. If you play the game mathematically it also offers some of the best odds of any game in the casino. The advantage to craps is the group dynamics. In most cases, everyone on the table is betting on the same outcome meaning everyone wins, loses, celebrates and cheers together. While this makes for the most entertaining way you can spend your time in the casino, the downside is you have to learn the rules. Craps is a bit more involved and confusing than any other game you can find in the casino. The good news is you don’t need to know everything to enjoy it, and people are more than willing to help you out by teaching you how to play craps. If you’re not willing to spend more than a few seconds learning how to play a game, Roulette is your jam. All you have to do is bet on a number (color, odd/even, third) and then cheer loudly for the ball to fall in your favor. If gambling itself is all the entertainment you need, and making money is the most important thing to you, well then you’re left with just two games to choose from. If you want to know the best game to play in a casino, from a money making perspective you need to make a choice between Blackjack and Baccarat. If you want to have more control over your own destiny, Blackjack is the game for you. You have to make choices on how to play your hand, and just how hard to push. This is one of the few games players have been able to “beat” to consistently win against the house. The rules are straight forward and many people like the feeling of being in control of their own destiny. If you want to make the safe bet, but not have to make any choices, baccarat is the game for you. You can bet at almost exactly 50/50 odds and there are no decisions to be made during a hand. All you have to do is put down you bet and take back your winnings. So there you have it, the quick and dirty guide explaining the best game to play in a casino. Remember, you can practice all of the games above for free on Silver Oak.